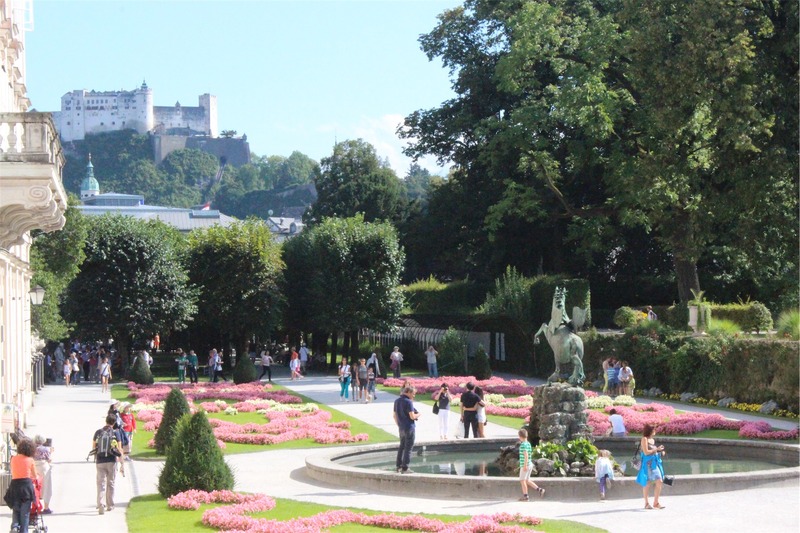 Today we leave Prague for a bit of a Bec indulgence – the city of Salzburg. 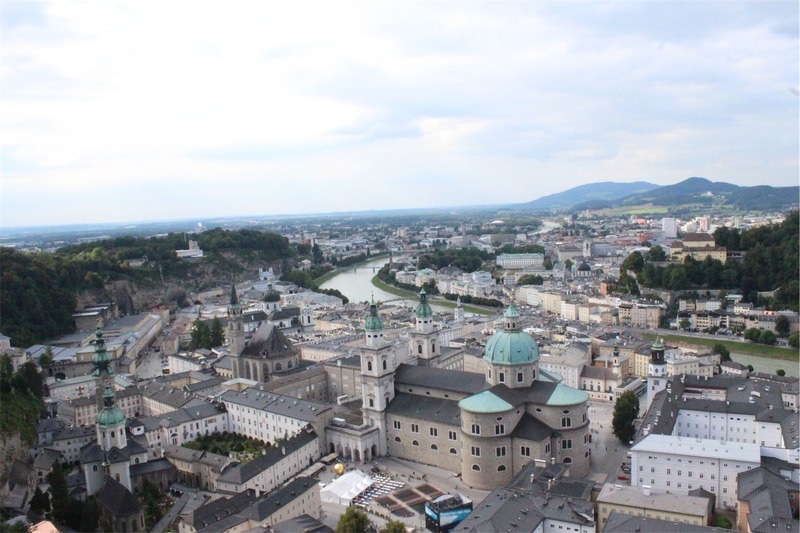 For those of you who don’t know, Salzburg is the city around which most of the Sound of Music movie was filmed. We actually changed the trip a little so that Bec could do some nerdy movie fan sightseeing as well. 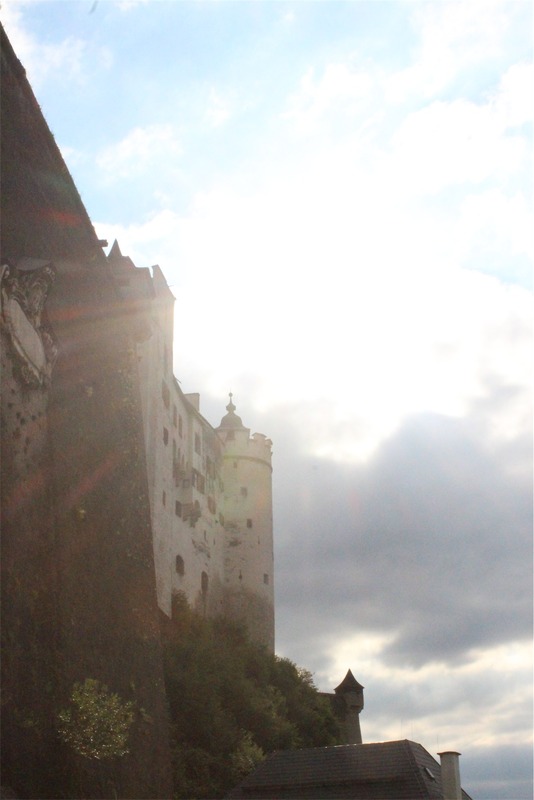 On the way, we stopped in at an ancient little town in Czech Republic called Cesky Krumlov. 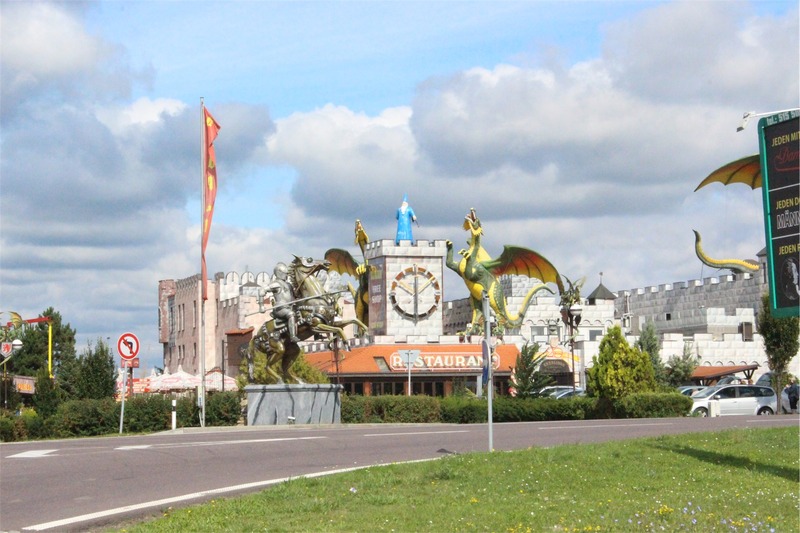 It is a UNESCO listed town and it was built in the 13th Century. 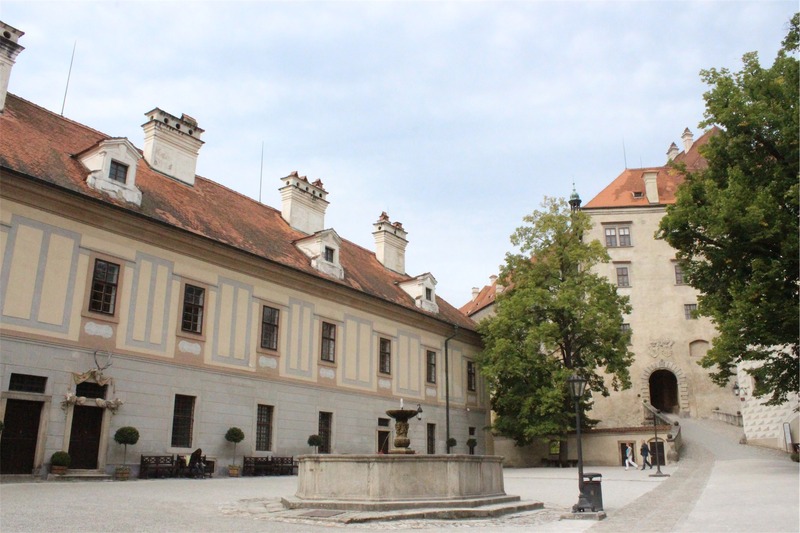 After seeing it, we would have to say that if you only had time to see two cities in Czech Republic, Prague and Cesky Krumlov should be the ones. There is a castle that is the centre piece of the town that has its own bear pit! The views from the castle are awesome and the town looks like something that belongs on a model train set. 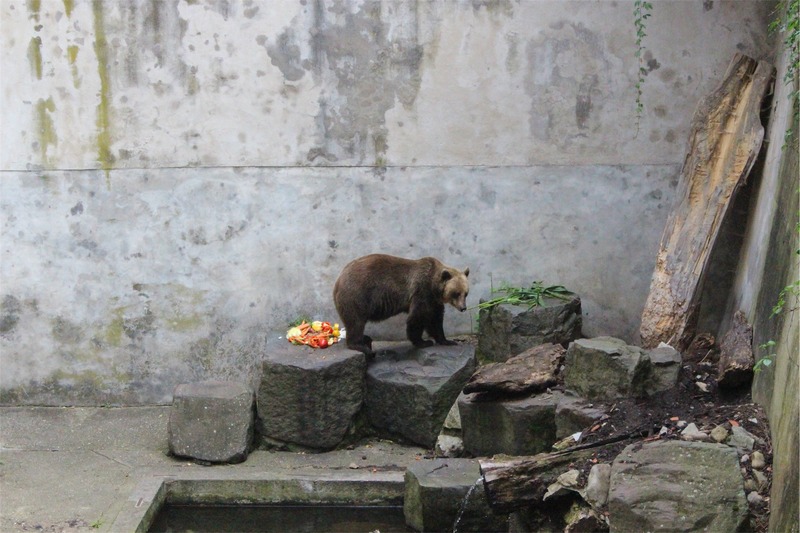 The two bears in the bear pit didn’t have that much room to move around, but they were quite old and seemed to be well looked after. 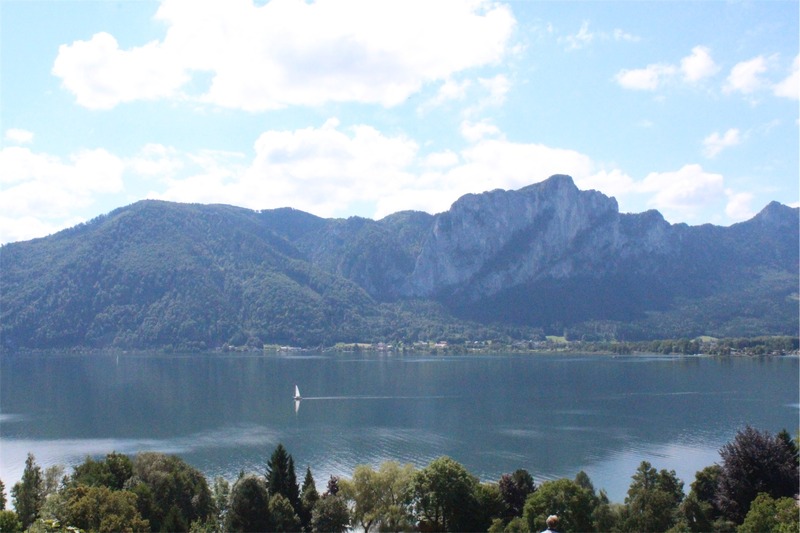 It seemed that as soon as we crossed the border in Austria, the landscape changed dramatically. 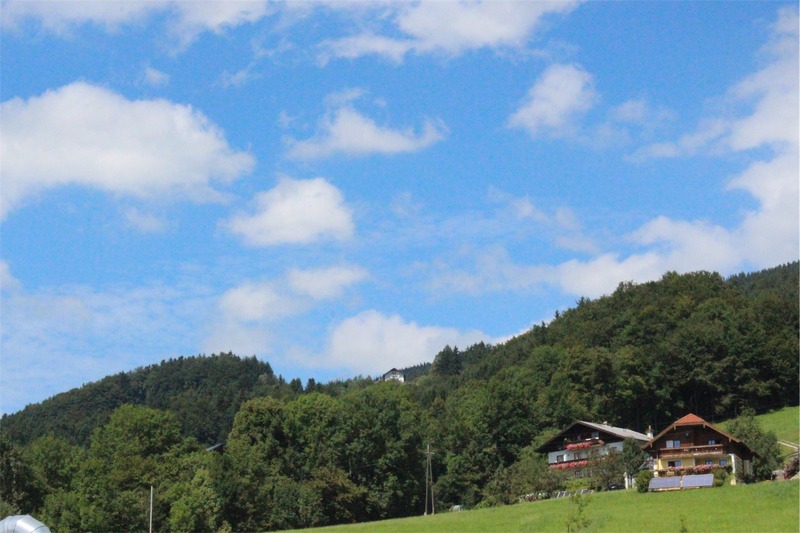 It was almost as if the hills were alive…. 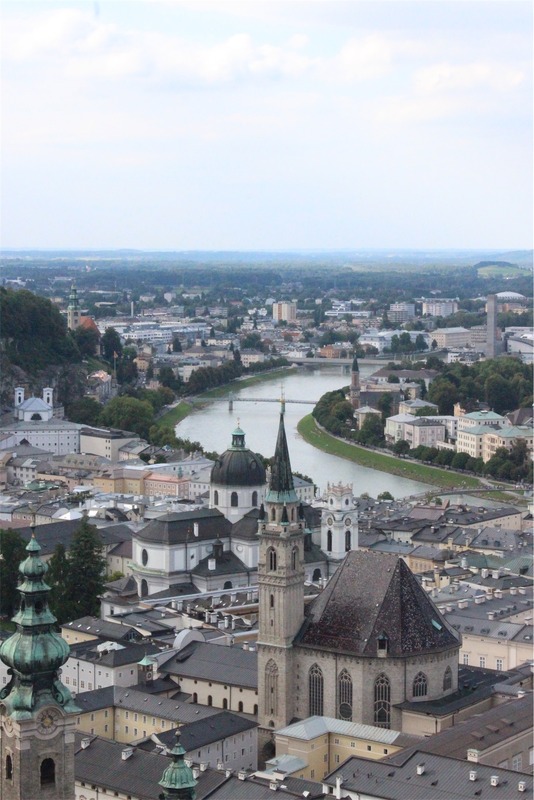 Salzburg is quite a large town and very popular with tourists. It was a beautiful day with rainclouds threatening in the afternoon, but it didn’t stop thousands of tourists flooding the streets. 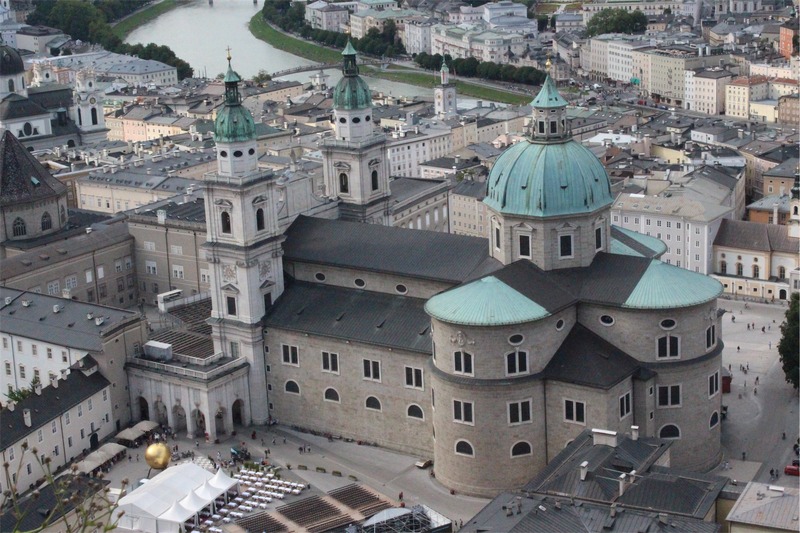 The Salzberg Cathedral was actually built on the ruins of the original Roman Empire city built in 15 BC. 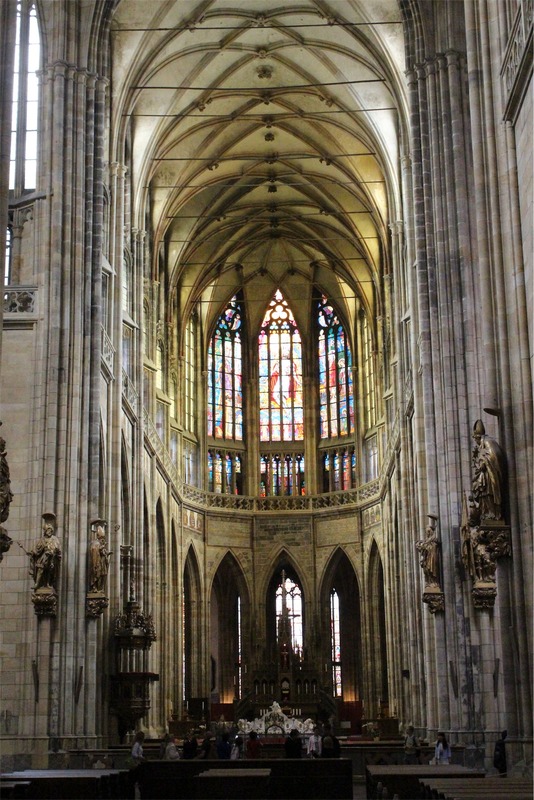 It’s huge and the architecture is amazing! 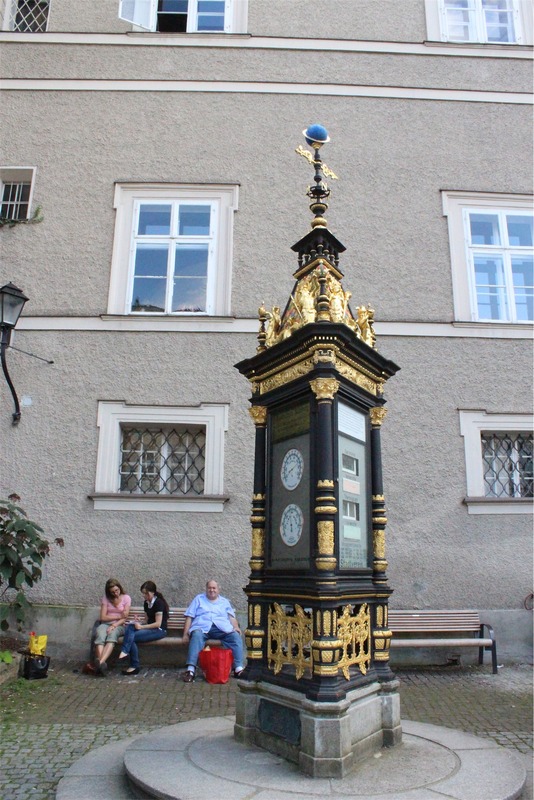 Mozart Platz is one of the main town squares and celebrates the fact that Mozart was actually born in Salzburg. 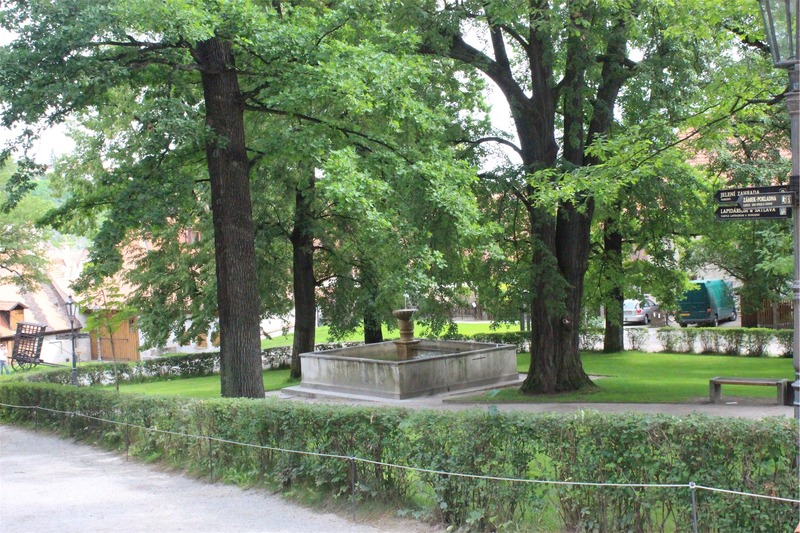 The Horse pond is in the middle of one of the squares and is in front of the Old Town Hall – The Sound of Music features the horse pond in one of the songs. 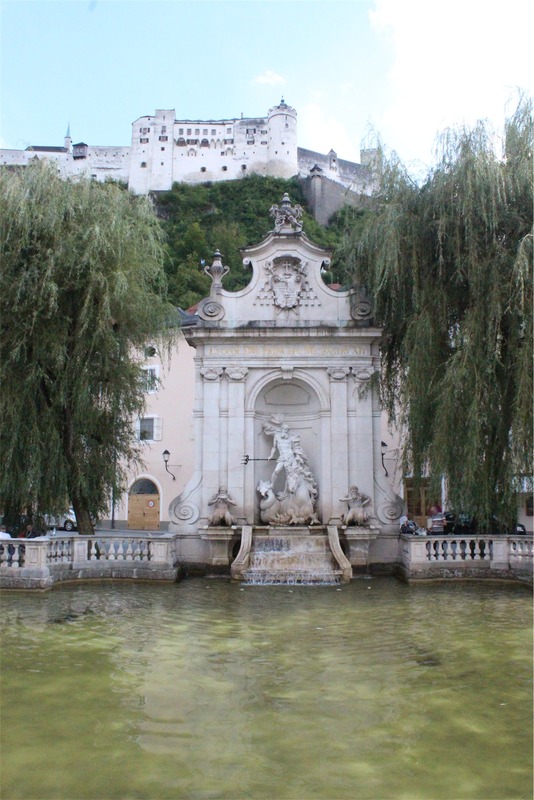 The castle overlooking the city is called Fortress Hohensalzburg and can be reached by a Furnicular Railway. Bec was scared the whole way up, but it went so quickly that it was over before she realised. 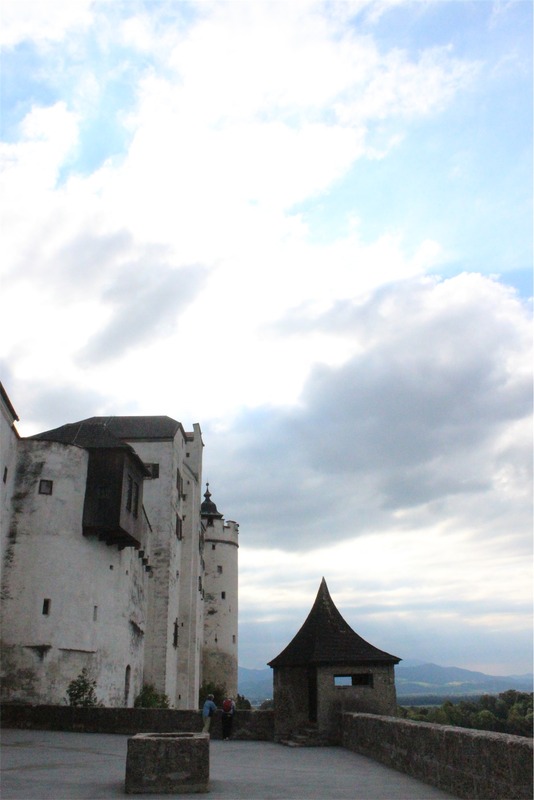 The castle itself is amazing and has spectacular views of the city. 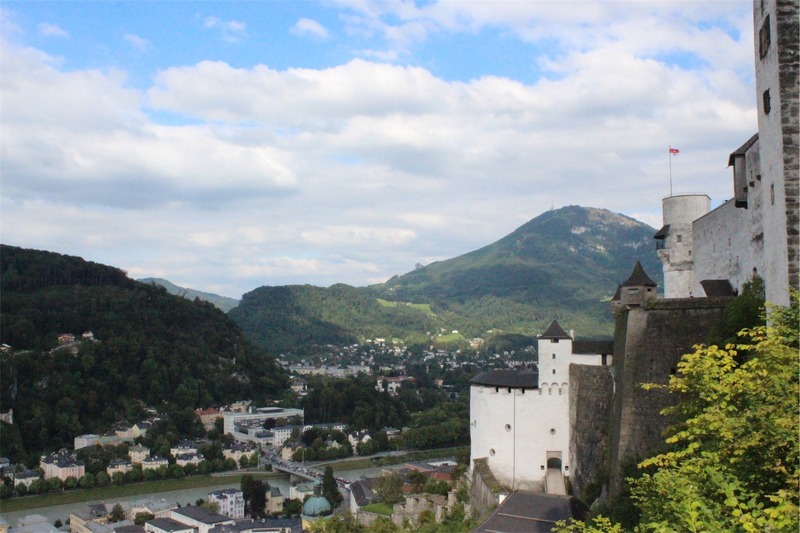 Another location in the Sound of Music is the Nonnberg Abbey, where Maria Von Trapp spent some time. The abbey is actually beautiful in its simplicity and has some extremely old artwork within its walls. 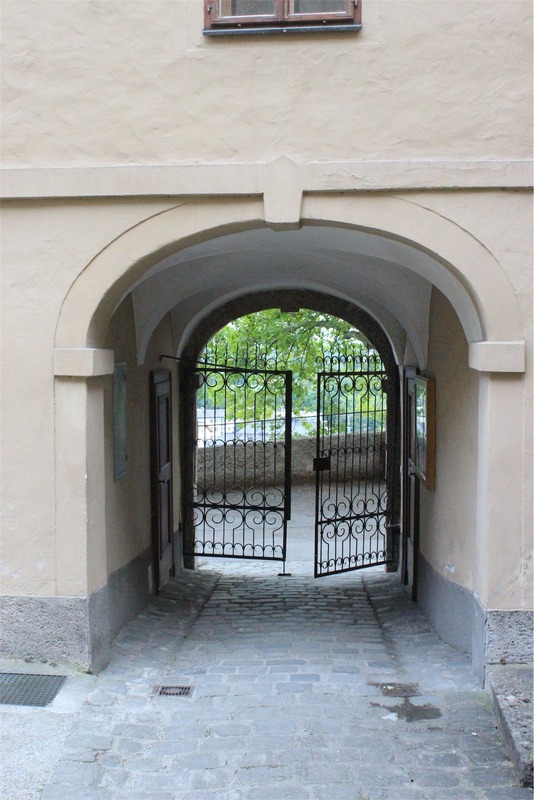 The gate of the abbey (pictured below) also featured in the movie. 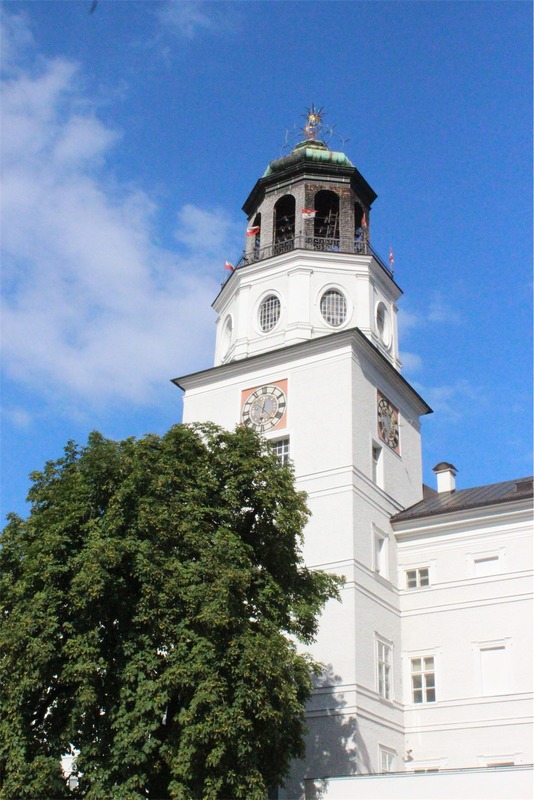 The Glockenspiel in the Town Hall plays a chime melody three times a day. We were lucky enough to be able to hear it – everyone in the square clapped when it had finished! 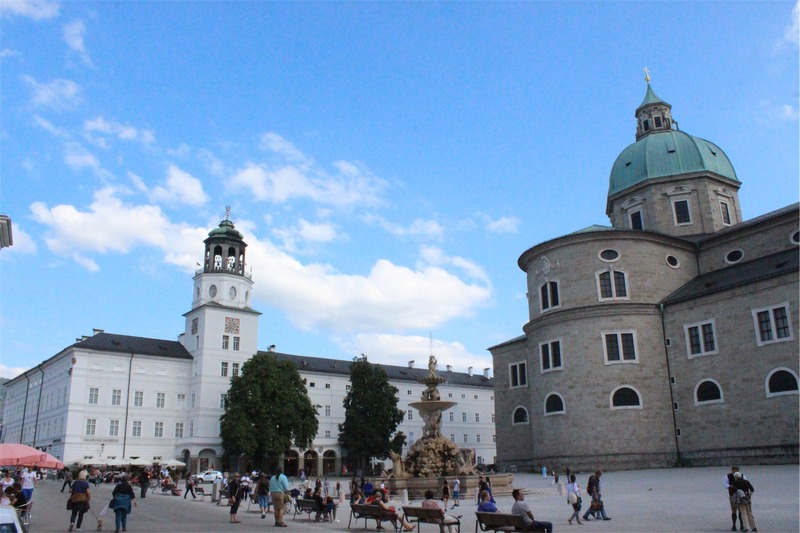 Salzburg itself has some great buildings and sights – here are some of the photos we took wandering around the city. We ended the day with dinner at a restaurant called Elefant and then grabbed a taxi back to the hotel exhausted. Feeling well rested we headed off to catch our tram into the city and commence a big day in Prague. The first big decision of the day was that after walking down 201 steps (yep we counted them) to get to the tram stop we vowed we would be getting a taxi home! 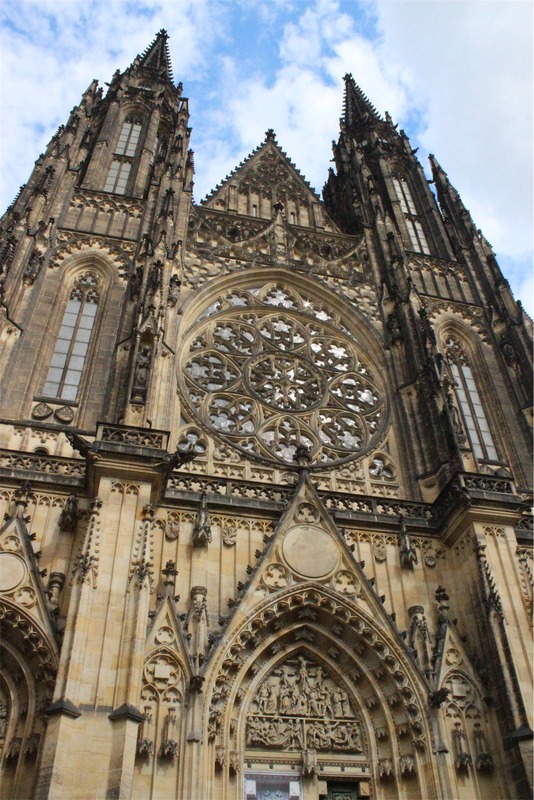 We got off the tram and headed toward Wenceslas Square, the historical centre of Prague and actually a World Heritage Site. 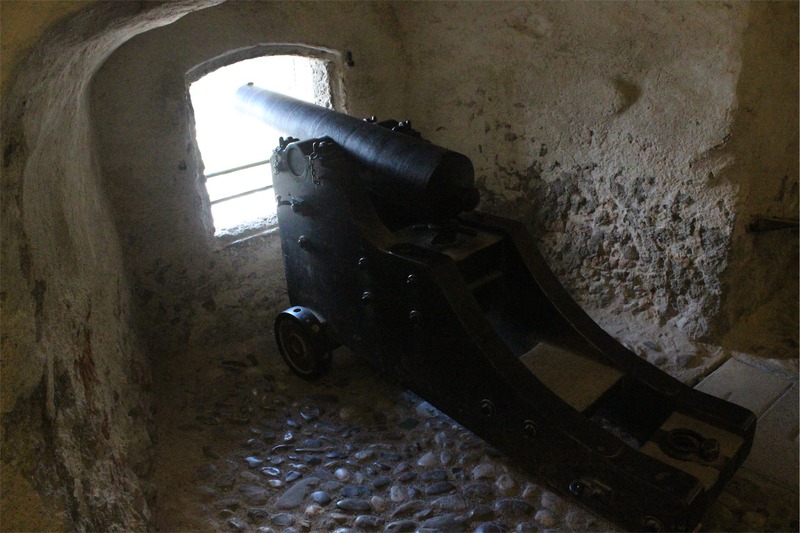 Then we walked on to the Powder Tower, one of the original 13 gates of the old town, it was used to store gunpowder in the 17th Century, thus the name Powder Tower. Ironically the Tower is located in what is now known as the New City in the Republic Square. 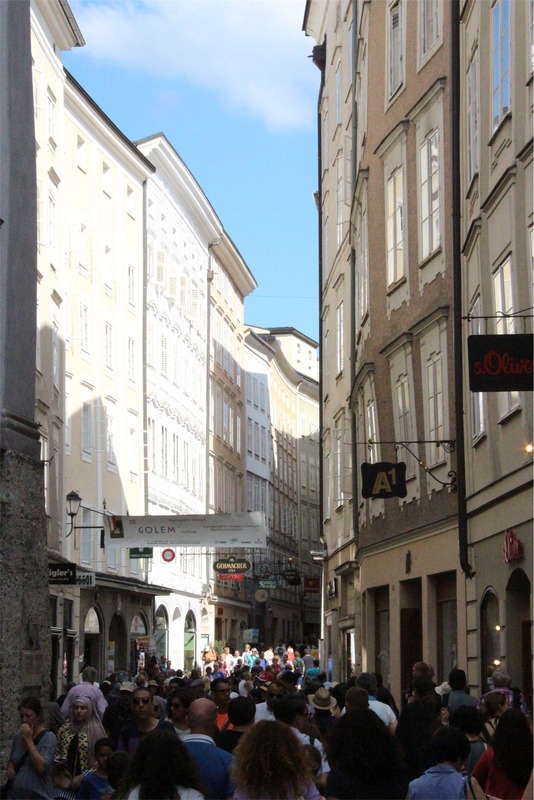 As with most cities the Old Town is usually our favourite spot. The Old Town Square in Prague didn’t disappoint. 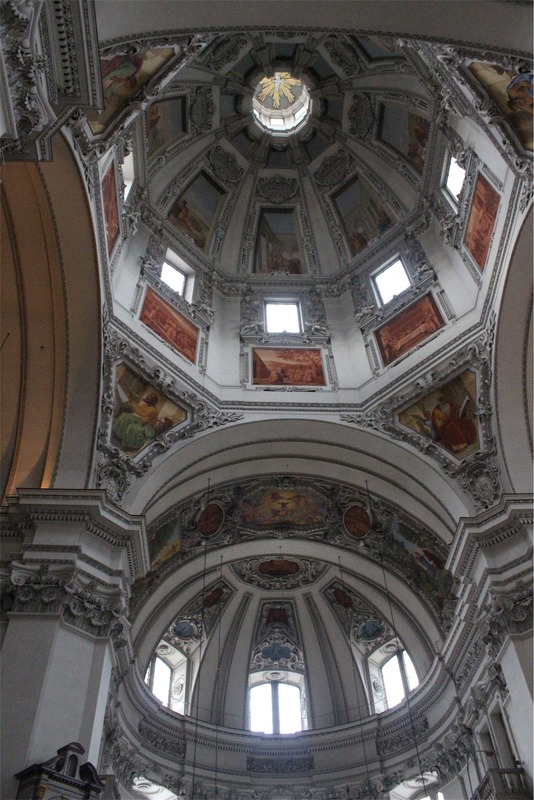 Located in the Old Town is the Church of St Nicholas, a beautiful building built between 1704 – 1755. 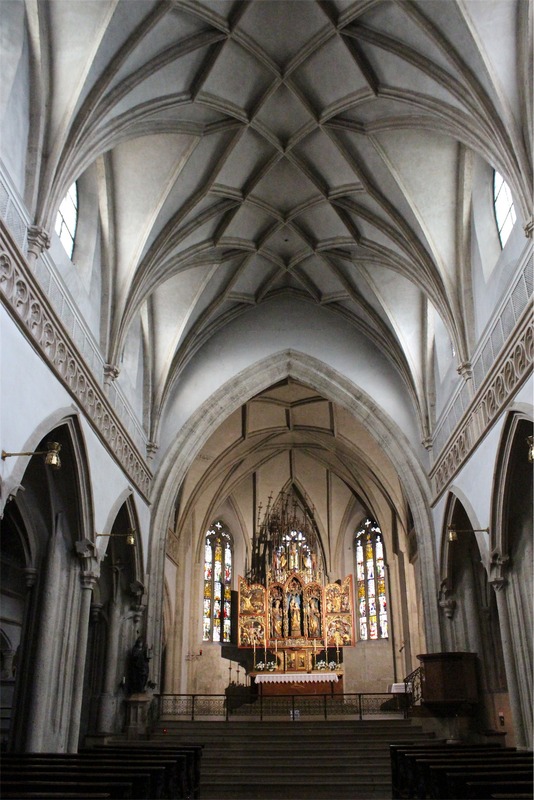 The Baroque organ has over 4,000 pipes up to six metres in length and was played by Mozart in 1787. 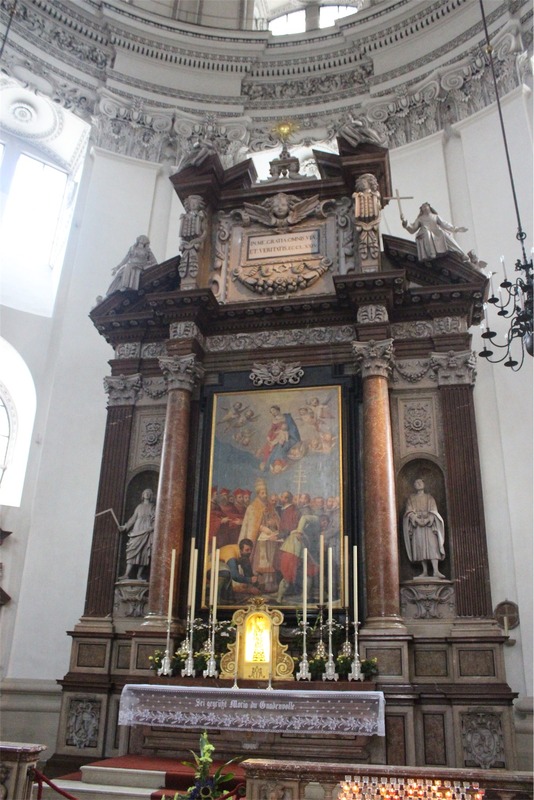 In fact, Mozart’s spectacular masterpiece, Mass in C, was first performed in the Church of Saint Nicholas shortly after his visit. 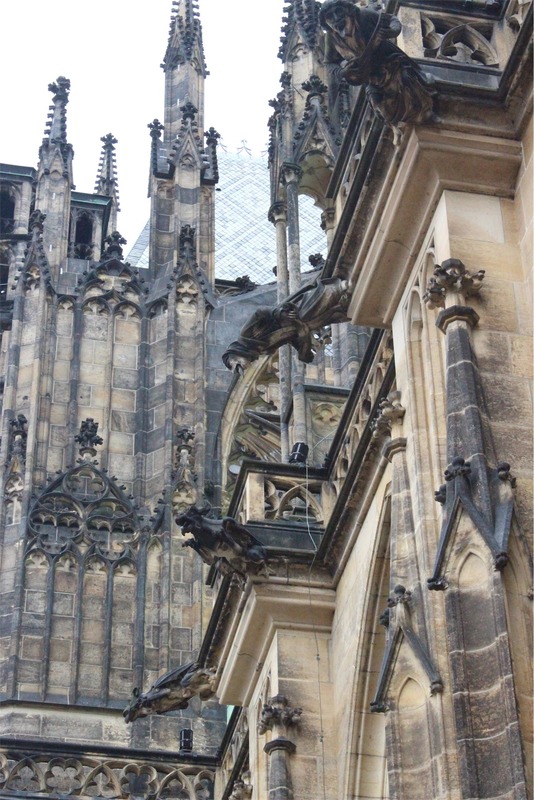 As we made our way to Charles Bridge we saw a number of beautiful buildings and bridges. The Charles Bridge contains 30 amazing statues, many of them have been replicated and replaced over the years, but they are no less stunning. Being a Sunday and with the weather so fantastic there were so many people around. 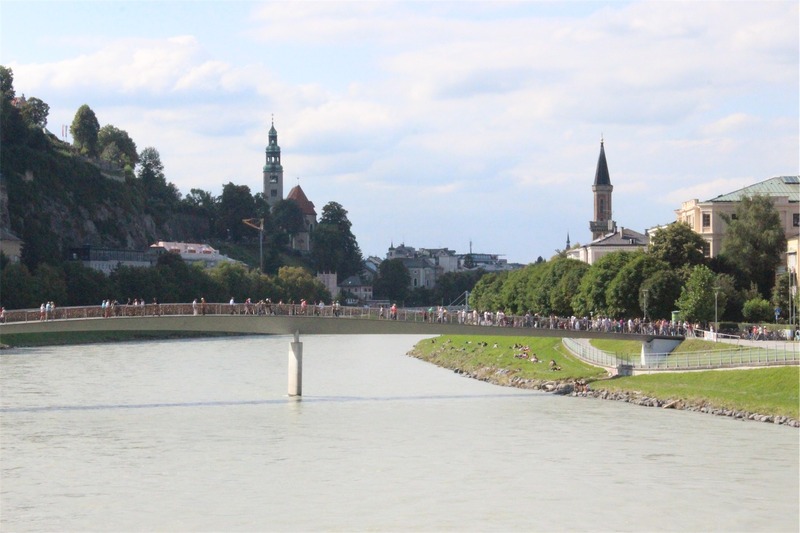 As we walked across the bridge we were swamped by tourists! The views from the bridge and castle were pretty awesome. 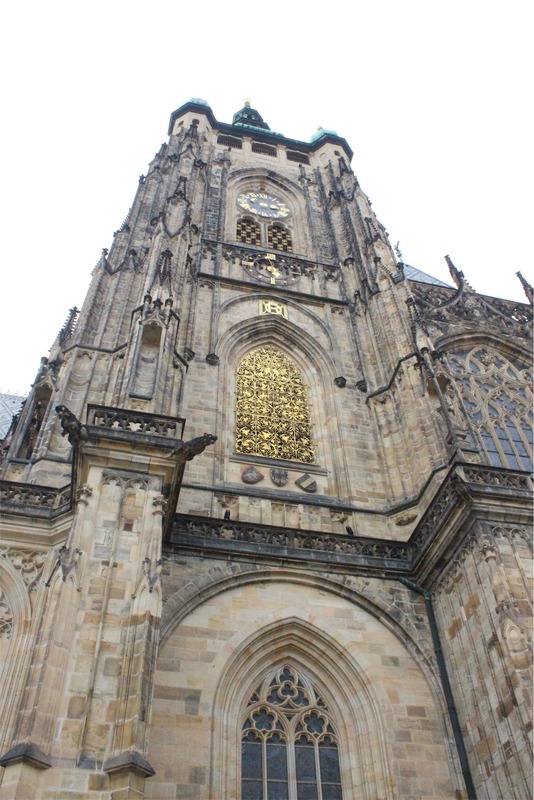 Inside Prague Castle is St Vitus Cathedral, another example of Gothic architecture it is considered the biggest and most important church in the Czech Republic and contains the tombs of many Bohemian Kings and Holy Roman Emperors. 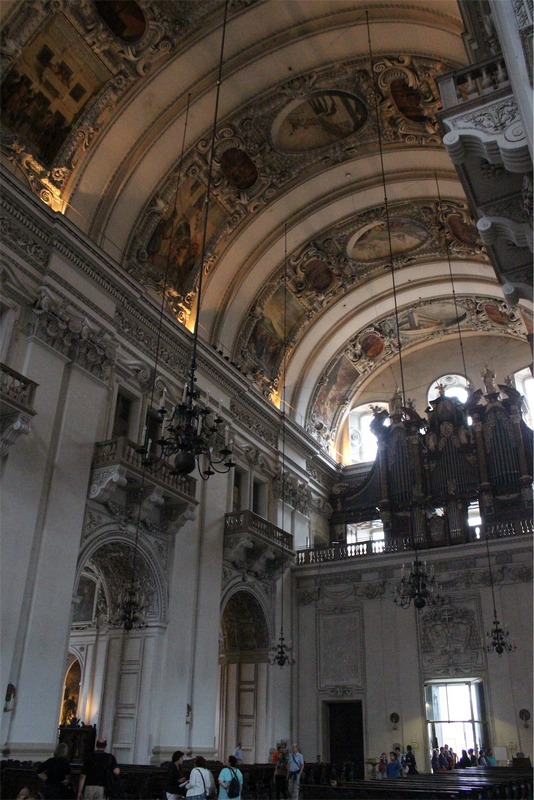 The stained glass windows were really quite beautiful and the high ceilings were spectacular. We really enjoyed our short stay in Prague and headed back to the apartment, already getting excited for our journey back to Austria tomorrow to Salzburg. Time to move on to another new country! 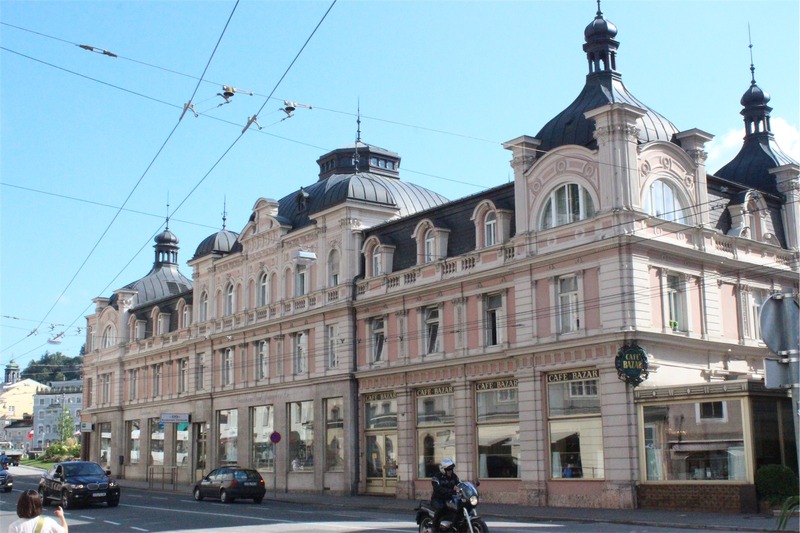 Today we drove from Vienna to Prague in the Czech Republic. There is some organisation required when driving into a new country, firstly we have to read up on the road rules, the toll or road tax requirements and also ensure we have the right currency ready. We’ve definitely learnt to appreciate that the formation of the European Union has meant that the majority of countries in our itinerary use one currency now – the Euro. Today we opted to take the highway route as it was the difference of about two hours. Unfortunately this meant it was a pretty boring trip up until we crossed the border. To be honest it was all a bit weird. 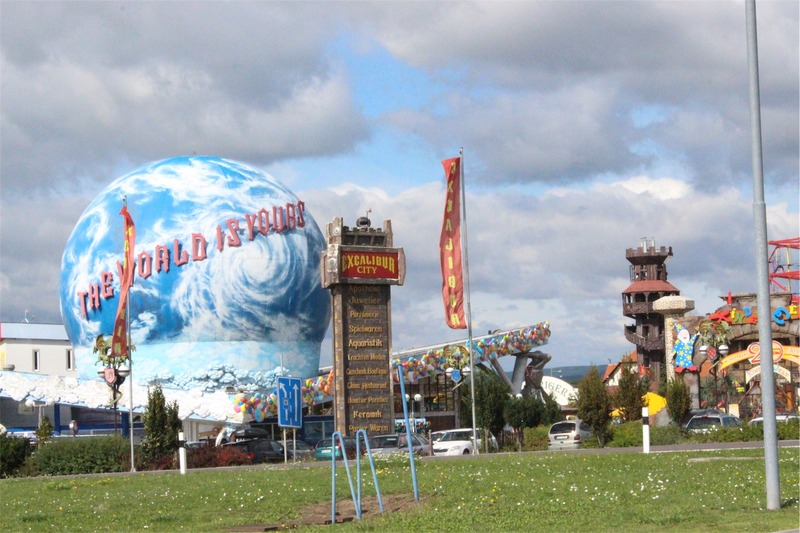 All of a sudden it was like we had driven into a mini Las Vegas – Casinos, Strip Clubs, Duty Free shops and strange looking Theme Parks. 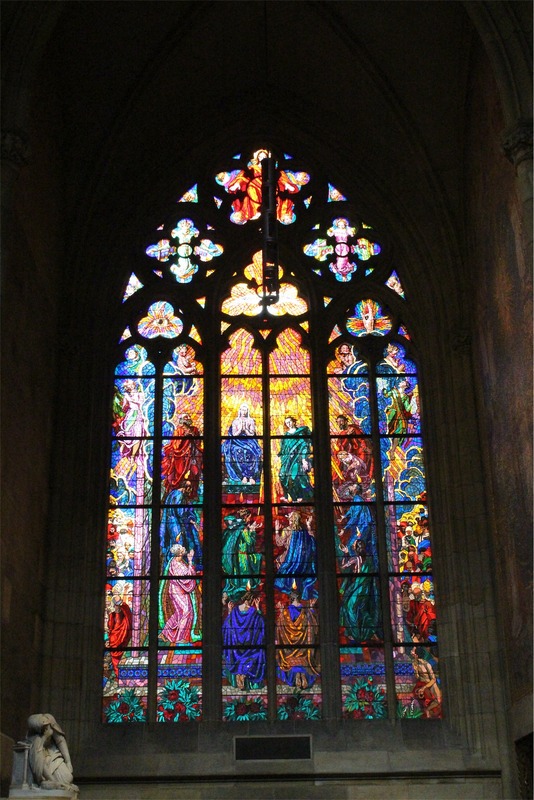 After stopping to look around the spectacle we purchased our Road Tax sticker and made tracks to our first stop of the day – the Sedlec Chapel. 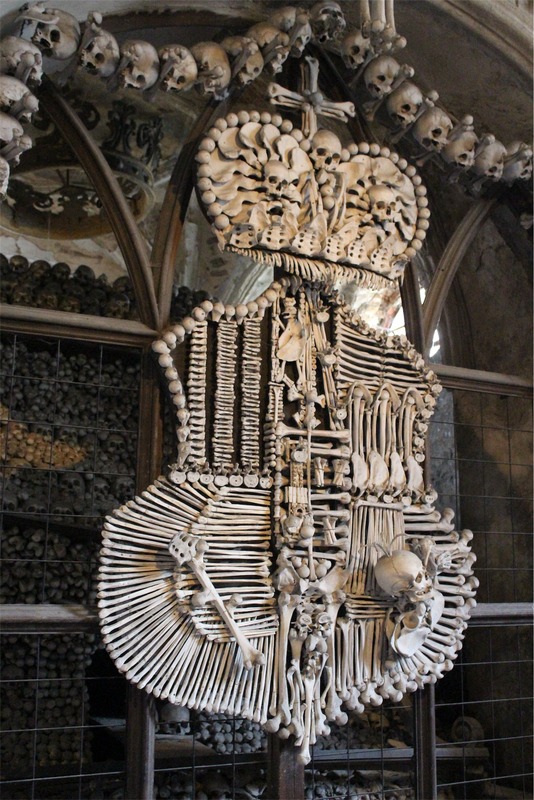 Now the Sedlec Ossuary isn’t for everyone, in fact Bec wasn’t really a fan whilst Keith thought it was awesome. 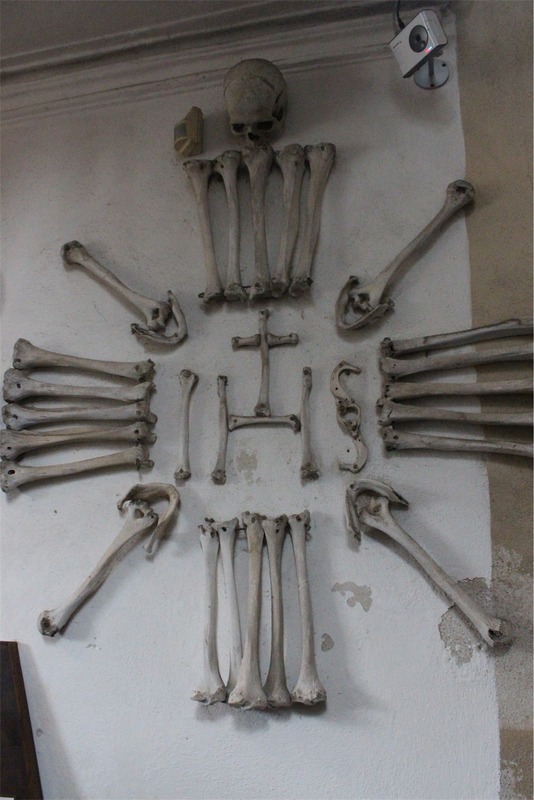 It has some really interesting history, in the mid 14th century, during the Black Death pandemic many thousands of people were buried in the Church grounds. 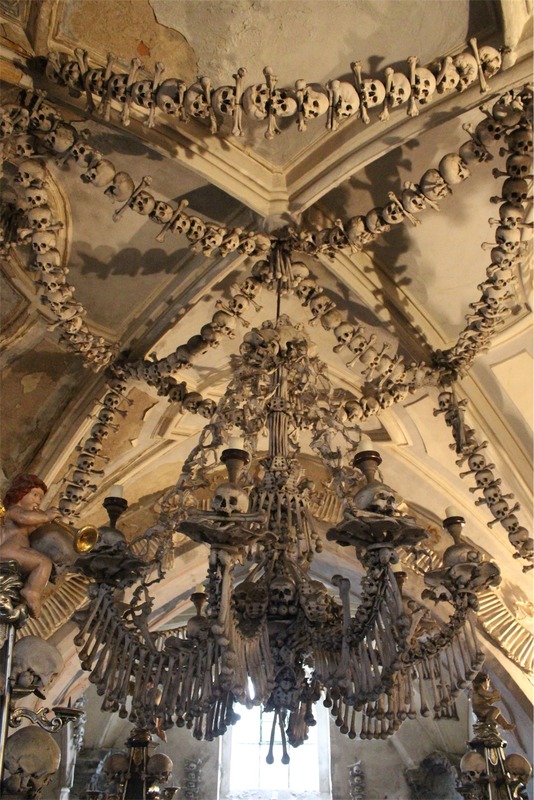 Because of its ‘popularity’, around 1400, a church was built in the centre of the cemetery, with the intent to move the mass graves to the lower level ossuary. 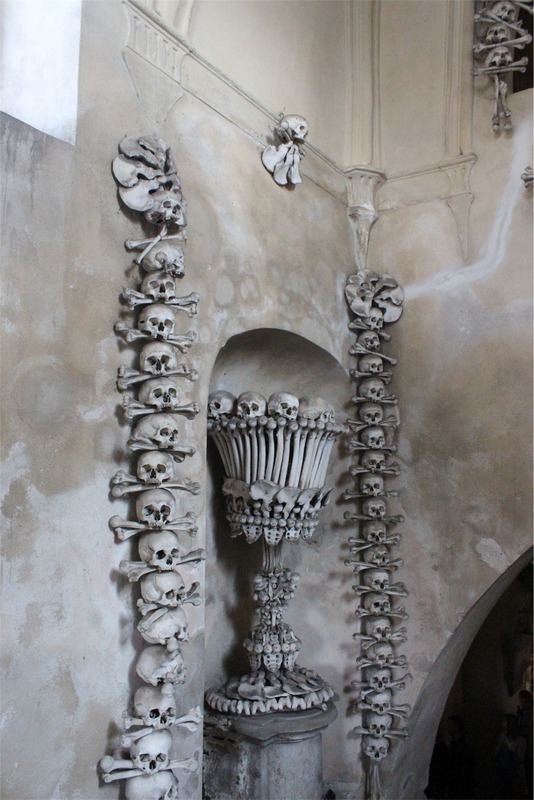 It is said that the task of exhuming the skeletons of an estimated 40,000 people was given to a monk and in 1870, František Rint, a woodcarver, was employed to finalise the Ossuary’s design. 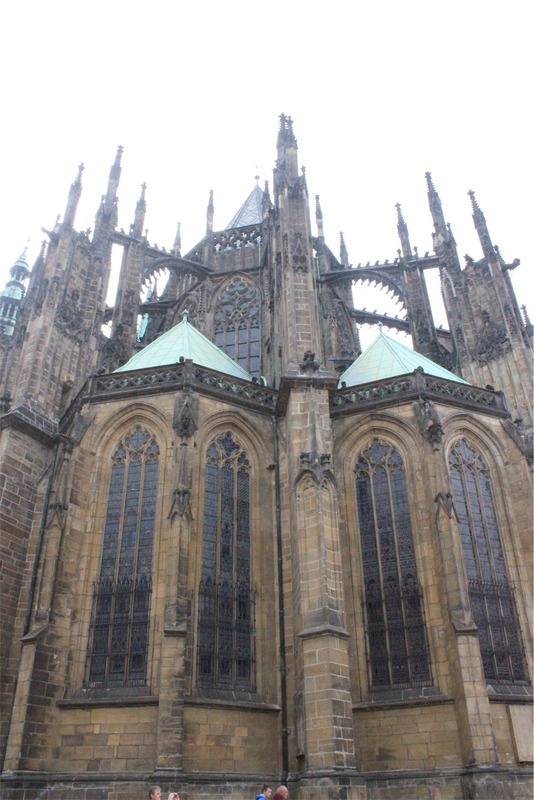 We then had some lunch and headed on to Prague, we had an apartment about ten minutes (by tram) outside the city and after collecting the keys and settling in we did a stack of washing and enjoyed an early night catching up on some well needed sleep.